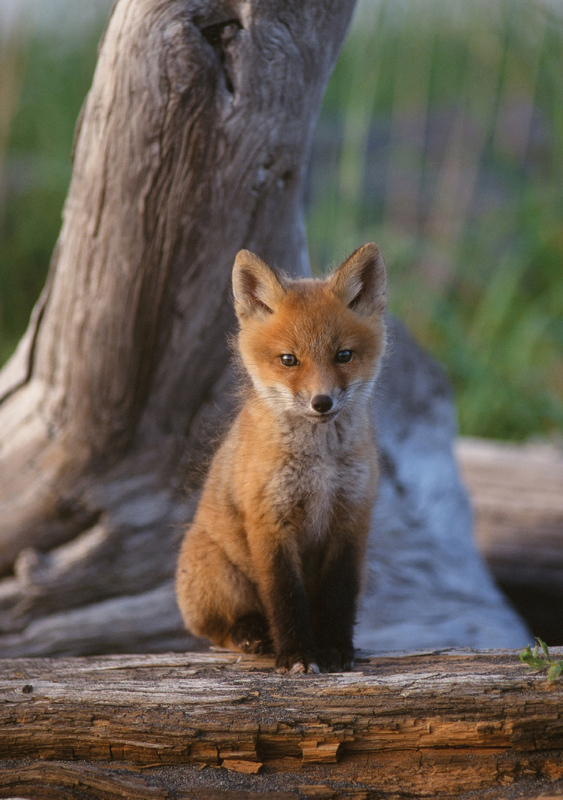 Throughout the Northern Hemisphere, the wily red fox (Vulpes vulpes) lives in forests, mountains, and deserts, and even will take up residence in rural and suburban areas inhabited by humans. Pups are born in a litter of two to twelve, and within a month their signature red coat begins to grow. After spending summer with both Mom and Dad, they’re ready to begin the solitary life when autumn arrives.